Gluten-free products producers, a list of all activities in Italy where you can find gluten-free products for celiacs. The places where you can buy directly from the manufacturers of gluten-free products thus having the certainty of what you buy. Many companies producing gluten-free foods have risen in recent years after becoming sensitive to the problem of celiac disease definitely on the rise in Italy. We also sensitive to this growing problem we have devoted this section by offering manufacturers gluten-free products. 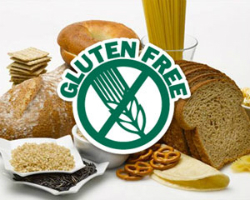 The gluten-free products producers guarantee safe food to those suffering from celiac disease. You will find great companies producing gluten-free products is smaller companies with infinite passion produce handicraft products without gluten. All companies that you will find in this section are all companies that have received permission production gluten-free foods. None of these has improvised in this delicate production. Many of these Gluten-free products producers are also involved in the distribution and thus fall even in the distributors of products for celiac or gluten-free category. Some of these have opened franchise stores gluten-free or have opened their outlets to assure those who have celiac disease to have safe products.